So last week rounded-out with Cornish Pasties made with the leftover lamb and a BIG pot of stew. 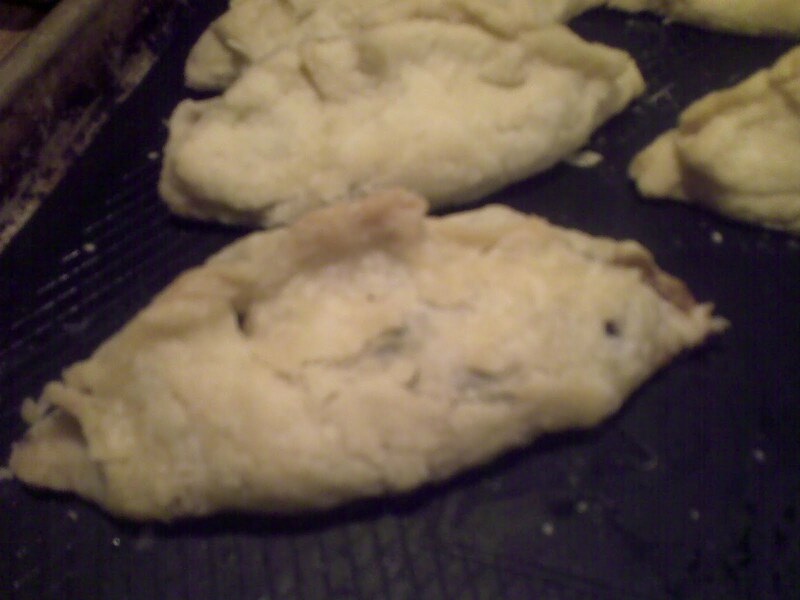 The pasties are simple as can be; chopped meat (fine), a grated small onion, frozen peas, salt and pepper and bit of the meat drippings to bind and fresh mint (chopped). Use regular pie pastry and you’re set! We were lucky enough to go to a wedding this weekend at Beantown Ranch (near Rockland) and it was lovely from start to finish. They have a little island there for the first dance that they light with candles and then fireworks go off for the last minute of the song. I know, cliche but SO SWEET and it looked gorgeous. I’m a sap for weddings-I always cry and I am not normally a crier. Unfortunately, I think that we’ve reached a certain age where there are less weddings and more divorces. Hope that this trend shifts the other way again soon. Thanks to Rachelleeatsfood for finding this amazing place/person to begin with. Rachelle’s blog has actually become my goto spot for restaurant reviews since I found her while researching Petit Bill’s. I am dying to go to Edgar’s as everything looks just delectable but as the next week is going to be spastic it won’t be happening very soon. Reports are home and Parent teacher interviews are just about to begin. I luckily have fabulouse kids in my classes and equally sweet parents so this isn’t an awful task by any means but it is more time which I am chronically short of (like the rest of the universe). To tie me over I have hunted down some recipes on the web based on the names of the food that I have read on Marysol’s website. Can’t wait to try the real thing as soon as possible. Try to make the time to pop-out to this local business who is creating everything from scratch. You can even get takeout that won’t make you feel guilty about eating it. Imagine coming home after a long day and having dinner ready and almost zero clean-up (bliss). Peel, core, and cut 4 apples into 24 (1/4-inch-thick) rings. Sauté apple rings, in batches, in a lightly greased skillet over medium heat 1 to 2 minutes on each side or until lightly browned. Remove from skillet, and place 1 apple ring in the bottom of each of 24 lightly greased muffin pan cups. Peel and finely chop enough remaining apples to equal 3 cups. Set aside. Stir together sugar and next 3 ingredients in a large bowl. Stir together flour and next 3 ingredients; add to sugar mixture, stirring just until blended. (Batter will be stiff.) Fold in finely chopped apples and 1 cup pecans. Spoon batter evenly over apple rings in muffin pan cups, filling cups three-quarters full. Bake at 350° for 25 minutes or until a wooden pick inserted in center comes out clean. Remove muffins from pan, and cool, apple rings up, on a wire rack. Press the handle of a wooden spoon gently into the center of each apple ring, forming a 1-inch-deep indentation in the muffins. Spoon warm Quick Caramel Frosting evenly over muffins, filling indentations. Sprinkle evenly with remaining 1 1/2 cups chopped pecans. 1.Heat the oil in a large saucepan and gently fry the onion, garlic and ginger for about 5 minutes until tender. Add the sweet potatoes and lemongrass and cook for a further 3 minutes. 2.Add the stock and bring to the boil. Reduce the heat and simmer, covered, for 20 minutes until the vegetables are tender. 3.Cool the soup slightly, then liquidise with half of the coconut cream and process until smooth. 4.Return the soup to the saucepan, add the remaining coconut cream. Season with salt and pepper. Heat through without allowing the soup to boil, and add the lime juice. 5.Ladle the soup into bowls and garnish with the lime zest. Last week with our school’s cooking club we made chutney with the kids and it was terrific! Our goal with this club is to use local ingredients, make healthy food, teach basic kitchen skills and celebrate all the cultures of our students. This club is a hoot. So far we have made; pumpkin pie, chutney and LOTS of cupcakes for an awards night. Coming soon are pierogies and springrolls. We aim for the club to cost the kids nothing and so far have been able to sell enough goodies to our colleagues to make that happen. Here is the recipe for chutney. 1. Bring everything to a boil in a large sauce pan, reduce the heat and simmer until it thickens, about 45-60 minutes. I’ve also made a “Thai” lamb curry in the slowcooker that is going to pretty well. This is not authentic so apologies to those that make the real deal. In the slow cooker; 2 lbs. 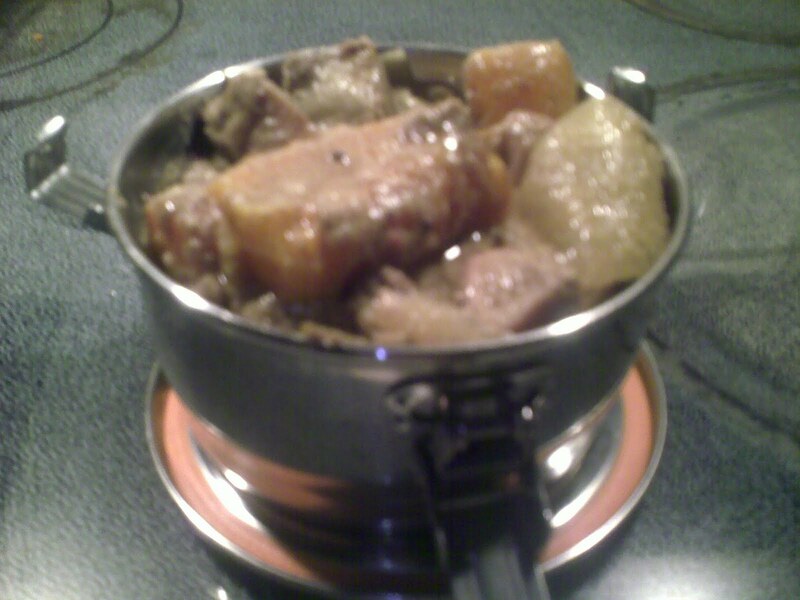 of stewing lamb (you could use beef or chicken or tofu for this), four carrots cut in large chunks, 1/4 cup of natural peanut butter, 2 stalks of lemon grass, 3 kaffir lime leaves, 1 T. of chili paste, 3 T. of soy sauce, 1/2 and inch of ginger finely grated, 3 cloves of garlic, 2 T. of garam masala, 1 cup of chicken stock (use beef if you are using beef-obviously), 1 large onion cut into chunks and 1 can of coconut milk. Let burble away for the day like I did yesterday and enjoy with some brown rice.